I seem to have been consuming a fair number of deliberately sour beers of late. I’ve even made a point of attending a couple of tastings in London earlier this year featuring such brews. 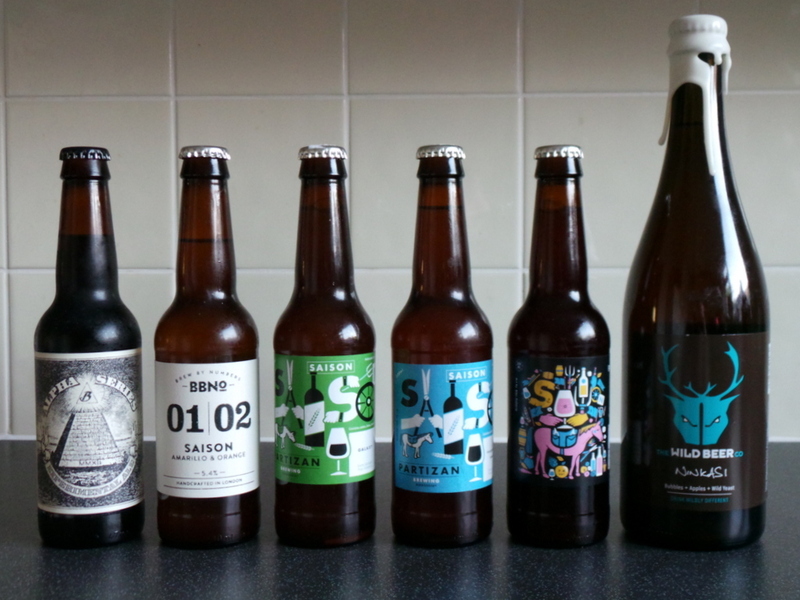 These have included an excellent event given by Canterbury’s Bottle Shop in Covent Garden back in May and an eclectic sour-beer-meets-sour-mash beer and bourbon tasting at Craft Beer Co Brixton in June. 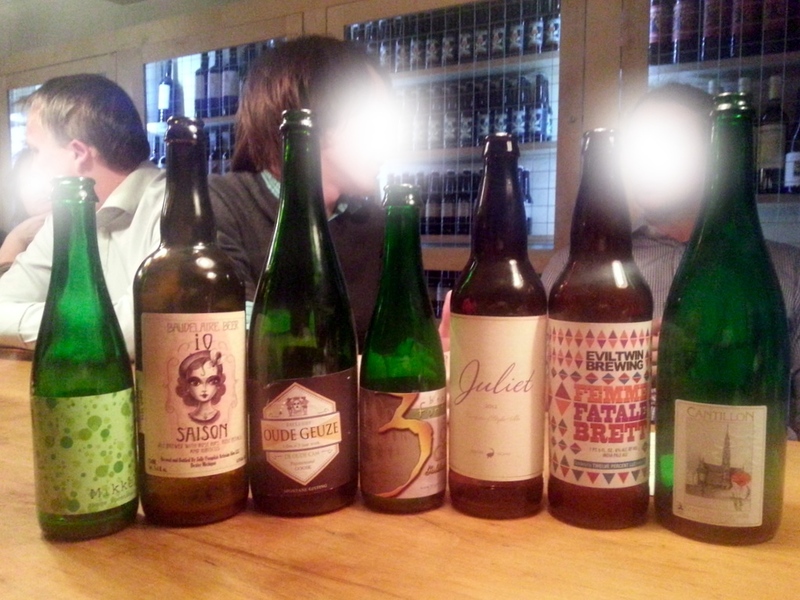 In July I even had the pleasure of exposing some relative beer novices to the delights of a couple of classic Belgian “sours” as part of a tasting I myself hosted at The Rake in London Bridge on behalf of my friends at Whisky Squad (barrel aging being the slightly spurious link to the whisky making process I used to justify their inclusion). While my everyday preference is currently for good old English bitter – probably the first time in the past twenty years that this has been true – I’ve never failed to be drawn to the parallel universe of beers that lie on the sour side and their potential to turn drinkers’ expectations on their heads. Increasingly it seems that many others feel the same. Maybe it’s simply tastebud fatigue from too many massively hopped IPAs using “exotic” New World varieties, or from Imperial porters and stouts exceeding 12% alcohol but there are probably more sour beers in existence in the early 21st century than there have been since the 19th. And not just from sour heartlands such as Belgium. Blighty is now experiencing an upsurge in interest in “wild” beers the like of which I’ve never before seen while the USA can stake an increasing claim on being sour beer central. Sour has become the new bitter. Which may seem odd given how peculiar these beers can seem at first acquaintance. My own love of deliberately sour beers goes back a long way now but my first exposure was confusing to say the least. I’ve always doubted that the beer served to me at the 1991 Great British Beer Festival as Gouden Carolus really was Het Anker’s excellent Belgian brown ale as advertised, although that beer can have a slight tartness if well aged. It’s not impossible: I didn’t know what to expect of Gouden Carolus at the time and it could have been “turned” by the stifling heat of London’s Docklands Arena. In hindsight, though, I’m inclined to think I’d accidentally been given something else. What it might have been I’ll probably never know but the strongest memory I have of that brew is that it was sour. Really sour. Somehow, though, it didn’t taste “wrong”, at least not in the way that a cask-conditioned British beer does if it has overstayed its welcome, been the victim of poor cellarmanship or succumbed to a yeast infection. Maybe it was one of the sour red or brown ales of West Flanders such as Rodenbach or Liefmans, where wood aging traditionally encourages anaerobic fermentation? Most likely it was some strain of lambic, that elemental beer style of Flemish Brabant that relies on centuries of brewing tradition and the relatively benevolent microflora of the Pajottenland and Senne Valley to the south west of Brussels to rein in the most exuberant effects of those organisms on the sweet wort. Perhaps it was a faro? I recall a distinct sweetness but that may be more fancy than reality. As I say, I’ll probably never know but my alien encounter sparked off a fascination with the more radical (or maybe that’s the more traditional?) products of Belgian brewing that was further catalysed by “Beer Hunter” Michael Jackson’s books and TV series and which has persisted ever since. Fortunately GBBF never went back to Docklands, instead setting up home across London, first at Olympia, then at Earl’s Court and now back at Olympia. Over many years of attendance at this and other beer festivals, plus the odd visit to their homelands, I’ve sampled most of the extant brands of traditional sour beers brewed in the country – including the variations refermented with fruit – plus traditional examples from further afield such as the low-strength sour weiss beer of Berlin. Along the way I’ve sampled Cantillon Gueuzes and Krieks that were so astringent they felt like they were stripping enamel from my teeth and Felix Speciaal Oudenaards oud bruins that were so silky in their tartness it felt like they were putting it back. I’ve also sampled, for the sake of both curiosity and completeness, many of the lesser variations, although the heavily sweetened and often overpoweringly fruity output of the biggest players hold little interest after a quick flirtation. Much has changed over the years since I first imbibed on the sour side. Cantillon beers today seem less acerbic (maybe the epithelium of my mouth has simply hardened up over time – they’re still world class whatever my perception of them) while Felix is sadly no longer brewed by Clarysse, although it does still exist care of sour beer stalwart, Verhaeghe. Similarly, Schultheiss Berliner Weisse, perhaps the more complex of the two brands that were still available when my odyssey began ultimately became a casualty of the reunification of Germany. Only Berliner Kindl Weisse remains of the two. Restrictive economic and political practices were perhaps a good thing for the survival of unusual brews. The lambic fraternity has at times looked especially vulnerable. Sometimes brewers simply ended production on the retirement of the proprietors. Such was the case with the original Oud Beersel (a place of pilgrimage for me and a couple of like-minded friends in the mid-’90s), which lost its battle for survival in 2002. Before that the geuze blenders Moriau and Dekoninck (not the makers of the justly famous pale ale) had also thrown in the towel though the brands live on care of lambic activist Frank Boon. Meanwhile, 3 Fonteinen made the transition from lambic blender to brewer before losing the lot following a broken warehouse thermostat in 2009. Fortunately it has recently got going again with the help of De Proef. We’ve also seen the introduction and rapid withdrawal of unadulterated lambic beers by the company now known as AB InBev, whose Belle Vue Selection Lambics of the 1990s briefly proved a brewing giant could cut it with the best artisan brewers. Soon enough, however, its global ambitions ultimately led it further into the mainstream instead. Thankfully Liefmans, Rodenbach and Boon, which were all threatened with either closure or at least “modernisation” (for which read “dumbing down”) at one time or another, have held on. The first is now in the ownership of Duvel Moortgat while Palm has owned Rodenbach since 1998 and has a half-share in Boon. Their new owners recognised the importance of their purchases and have steadily invested much money and effort in them. This has been especially true as global interest in such individual brews has grown, the US being a particularly welcoming market. 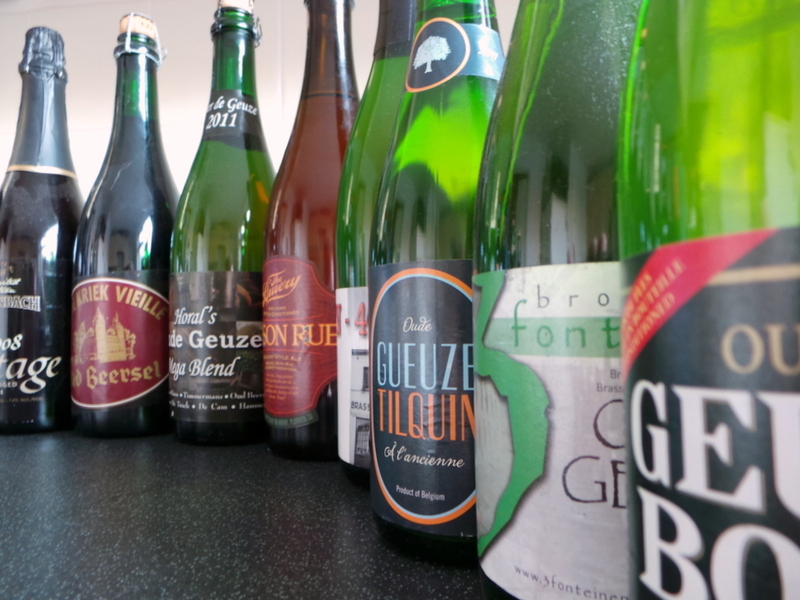 This growing interest has also stimulated new sour beer ventures in Belgium, including new lambic blenders De Cam, a revived Oud Beersel and most recently Tilquin (the first in French-speaking Belgium for an age) although none brew as yet, preferring to ferment or blend in the time honoured tradition of the geuzestekerij. Meanwhile, in Germany, several brewers in the vicinity of Leipzig have revived gose, a salty, sour wheat beer that had died out in the 1960s (e.g. Gosebrauerei Bayerischer Bahnhof). I’ve long wanted to try it but no one ever seems to have imported it into the UK. Breweries from beyond the traditional sour fringe have also got in on the act, with umpteen US brewers now chasing the sour dream. Excellent examples in numerous sour styles are occasionally available on this side of the pond from such as Jolly Pumpkin and The Bruery. Many others are evident Stateside, including one producer, Russian River, which has invested considerable sums in creating an authentic Californian “lambic” brewery – perhaps the ultimate brewing challenge. Unsurprisingly, Danish “gypsy” (or is that itinerant?) brewer Mikkeller also acquired the sour beer bug, although in its case such offerings are concocted elsewhere, often at the aforementioned De Proef in Belgium. Although not made at a recognised lambic brewer, at least Mikkeller pays appropriate homage to its inspirations. 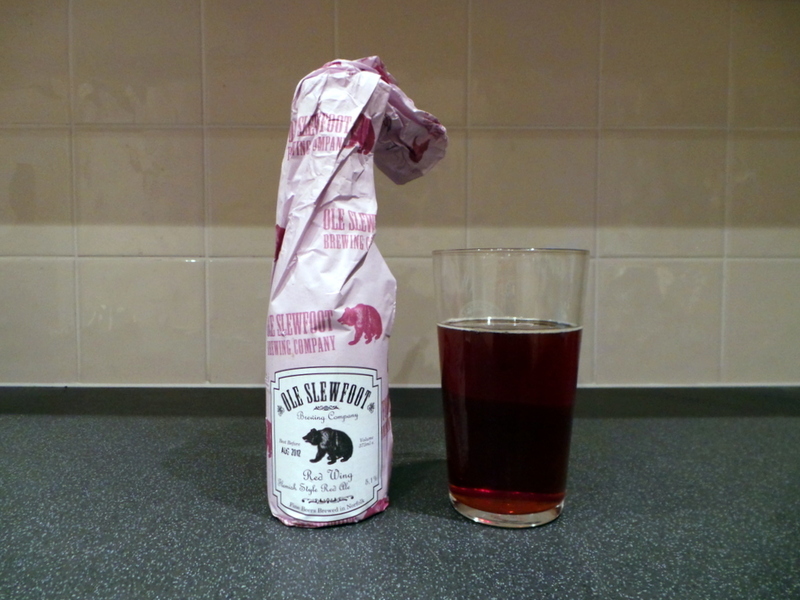 It’s even happened here in the UK, with Samuel Smith’s Melbourn Brothers brewery in Lincolnshire offering fruit-infused pseudo-lambics for some years now, while Suffolk’s Ole Slewfoot has made several brews inspired by Belgian sours. Several London brewers have also been infected with the sour bug. Among them is South East London’s Kernel, whose increasingly sour Berlin-style weiss beer called, appropriately, London Sour, is often available from the brewery during its open Saturdays (see photo). On the other side of The Smoke (well, Oxfordshire, really) Lovibonds has experienced few Sour Grapes from its own efforts, taking a gold medal in the 2012 World Beer Cup in San Diego. There’s now even a brewery in Somerset dedicated to harnessing the power of acidifying yeasts in the shape of the Wild Beer Co. Wild Beer’s Belgian-inspired saison, Ninkasi, is one of the more complex takes I’ve tried on that once-rare farmhouse brew from Walloon Belgium that is currently flavour of the month among British micros. How “wild” such beers are in practice I’m not sure but British-brewed “saisons” are proving to be gateway beers for introducing more drinkers to more striking sour types and to different expectations of beer more generally. And that has to be a good thing for choice and variety. I could go on but that’s enough of the history lesson and anyway I wrote most of this post months ago and should really get on with tasting a few more brews and passing on my thoughts. Suffice to say there are already many other sour beers out there and no doubt many more fermenting in the imaginations of adventurous brewers worldwide, if not yet in huge oak barrels. These are indeed sour times but I’m far from bitter.